We are not on the Marina beach -most famous for its verkadalai or peanut sundal – Fact is, I don’t remember ever having it since we were always cautioned about eating carefully if it was outside our home… Home where amma boiled peanuts with shells in salt water and we would take pleasure in snapping open the shell to delve in for the peanut or groundnut as we used to refer to it – I do remember licking the salt water that would trickle down to arm to the elbow during this exercise. Amma was expert at shelling and would present a whole bunch of them while we struggled along. Love you, ma! However, the idea of peanut sundal has always been appealing esp since I LOVE that nut, especially in this form. 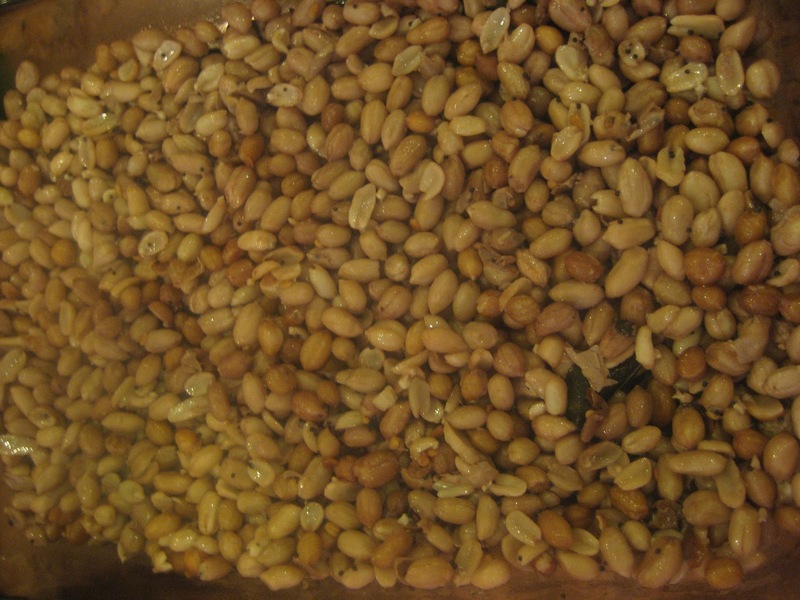 Dry peanuts, roasted ones, well….I can leave sooner than take… but boiled peanut sundal is the ultimate in taste so of course I reserved it for the last day of Navarathri. By now, I hope I’ve established that I do NOT like to labour over cooking – I like the simple and quick recipes without compromising on taste. In a pan heat oil, throw in the thadka stuff and let the green chillies spice up the oil. Add the peanuts and stir with thadka. Add salt. Stir and allow to cook on medium heat for 3 minutes. Secret tip: The trick is to use the right amount of water to cook the peanuts. If there is too much water drain most of it, but save a little to use to cook with other ingredients in the pan – This water will also help the peanuts absorb the salt and spicy flavours. Try it out! It doesnt get better than this. This is why I love Navarathri!